A Weekend In London With YARRA 3DX! What could be better than a quick trip to London? Last weekend, Mona and I made a quick trip to the British capitol to demonstrate the YARRA 3DX 3D audio sound bar to potential partners AND celebrate my wife’s birthday (and our 36th wedding anniversary). I arranged the last minute trip at the urging of a very close friend, Richard Bron — music industry veteran and technology expert. 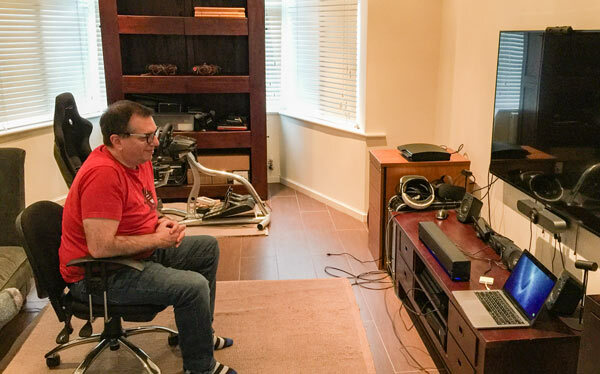 Knowing that it’s impossible to talk about immersive sound coming from a small, inexpensive sound bar, Richard suggested that I come to his home in Northwest London and demo the system for him and several others. We booked tickets on New Zealand Airlines and left late on Wednesday afternoon after my university commitments were finished for the week. 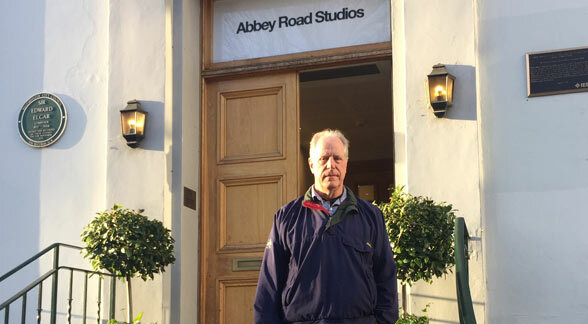 Standing in front of the Abbey Road Studios front door. Earlier in the week I had reached out to Brian Kehew, my predecessor at CSU Dominguez Hills, Facebook friend, and coauthor of the definitive book on the tools and techniques used to record the Beatles albums called Recording the Beatles, to ask about demoing the YARRA 3DX sound bar for Abbey Road’s audio equipment division. He was gracious enough to connect me with the key people and an appointment was made for Thursday afternoon. Fresh off the plane, I wheeled a road case containing the YARRA 3DX sound bar and subwoofer to Abbey Road studios, hauled it upstairs to room 24, unpacked the stuff, and set up the sound bar and subwoofer. The room was small so everything was set to near field mode as I played a number of binaural and surround audio examples – including a variety of Beatles tracks from the “Love” DVD-Audio disc and “Sgt. Peppers” — both of which contain 5.1 surround mixes. I played music (in both stereo and surround), games, movie soundtracks, and some format demos produced by Dolby and DTS. There were smiles of amazement as listeners looked over their shoulders to see if I had placed surround speakers in the corners. I hadn’t. All of the sound was coming from the sound bar and subwoofer — from the front. 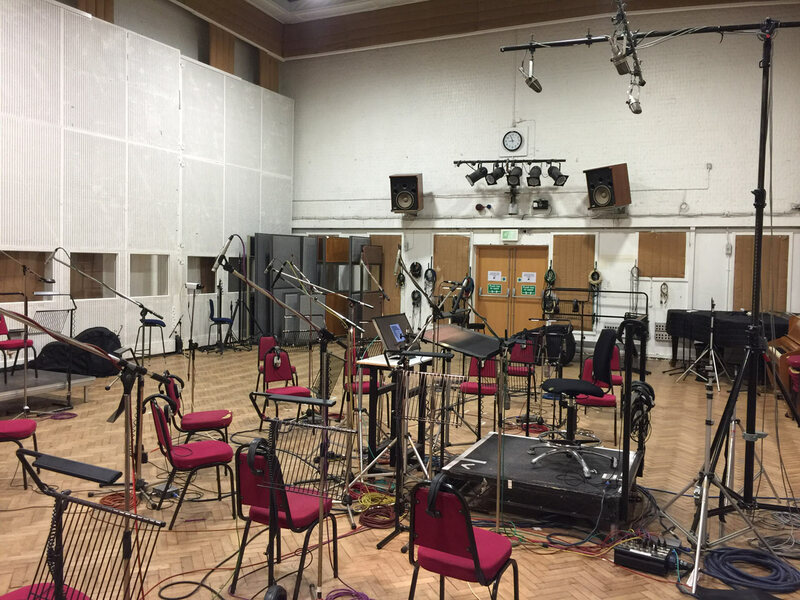 Studio 2 at Abbey Road – the room where the Beatles recorded most of their albums. Our host invited us back for the grand tour of the entire facility early the next morning — a rare treat — one that I’ve dreamed about for a long time. I’m a child of the 60s and my course through life has been heavily influenced by the arrival of The Beatles back in 1964. Like so many other young men of the time, I wanted to learn how to play the guitar, join a band, write and record music, and perform to throngs of adoring fans. The Beatles influenced my decision to leave the University of Michigan in 1973 to seek fame and fortune in the music business. I headed to Los Angeles in early 1974 and have never looked back. I ended up on the other side of the studio glass but have had a lot of fun and enjoyed a life making records and media projects for over 40 years. After the tour of Abbey Road, we took a train to Guildford south of London to check out a VR demonstration at Figment Productions AND demonstrate the YARRA 3DX sound bar to a distributor friend from Spain (he flew in that morning to experience the unit for himself). I have had only a few VR/AR experiences over the past few years. And virtually all of them were static — things like racing simulations, third party few interactive movies, VR concerts, music videos, or games. Never have I strapped on a portable computer in addition to a VR headset and headphones with a group of other participants. The location based entertainment system developed and being pitched by Figment Productions allows several people — complete with avatars produced with with photogrammetry — to walk through a Jurrasic park-like, 3D virtual environment, experience dinosaurs, feel wind, heat, uneven ground, sit in a gondola as it moves over a landscape, interact with physical knobs and levers, and much more. It was very impressive! Although, I need the video resolution to be more than standard definition. 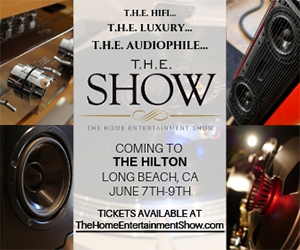 Simon, the head of the company, assured me that an HD version is right around the corner — following the 2019 Show in January. Then it was my turn in the conference room upstairs. I set up the YARRA 3DX on a table top and played a variety of surround material. The reactions were as predicted — everyone kept asking how a single little speaker was able to fill the room with sound AND create sounds that appeared to come from behind the listener. The next hour was spent doing demos for the entire staff of the VR production company, the distributor, a drone pilot, secretaries, and a guy that builds high-end audio speakers in the UK. Everyone was amazed and eager to purchase their own YARRA 3DX. Sadly, they are not yet in mass production. Resources are quite low at the company that owns the product and licenses the underlying technology and they are currently looking for additional funding as they have publicly posted. My own efforts to acquire and own the YARRA 3DX, fund its mass production with new partners, deliver them to 2700 frustrated backers, market and sell additional units, and introduce them to the consumer marketplace in general seems to have stalled following a recent conversation with company CEO Gerry Chastelet. The road forward is very daunting given that it will take around $750,000 just to get the first 3000 units manufactured and delivered — selling the next 3000 would bring my partners and I to break even. Obviously, this is a very hard sell to investors — especially if the same technology is made available to other consumer electronics companies. Comhear has the same challenge in their attempts to raise additional resources. Altan sitting in front of the YARRA 3DX sound bar. Altan, Richard, and I discussed the market for the sound bar, challenges bringing it to market, and the current situation at Comhear, the company that ran the crowdsourcing campaigns. There is a future for beamforming sound bars in the consumer and audiophile market. Immersive, surround sound is not limited to movies presented in theaters or at home. I spoke to one of the artists on my label about efforts being promoted by Dolby and Universal Music Group to remix classic albums in Dolby Atmos at Capitol Studios new Atmos equipped room. It seems like the arrival of 5.1 music back in 2000 with the introduction of DVD-Audio…lots of music in 5.1 but no way easy way to play it back. I believe the answer is a full featured sound bar. I’m dedicated to making one available as soon as possible. I was hoping it would be the YARRA 3DX but perhaps a new venture will have to take the lead. 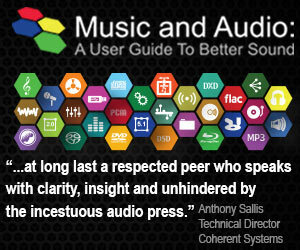 It’s the holiday season and what audiophile wouldn’t be thrilled to receive a signed copy of “Music and Audio: A User Guide to Better Sound“. At 3.2 pounds and over 880 pages, it’s not exactly a stocking stuffer — but every chapter contains important information that every audiophile should know. And remember it comes with an accompanying Blu-ray disc full of demonstrations, comparisons, and 12 full length high-resolution tracks from the AIX Records catalog. 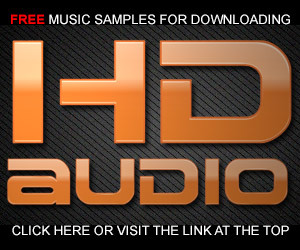 Stop by the website and get your copy AND a copy for a needy audiophile friend — Click Here. Is there a ship date as of yet? The company is trying to raise additional funds to complete the manufacturing of the YARRA 3DX. As a result, there is no ship date. And there is a very real chance that the company fails to deliver the promised YARRA 3DX sound bars at all. I hope you can understand my frustration, but why, if there is very little chance of our pledges bearing fruit with delivery of the Yarra 3DX, do you continue to demonstrate it and tell everyone it is so good? You’ve all but admitted that it won’t be getting made, why demo it; don’t you understand the sensitivities of those who pledged $’000’s and who will get no return? I went to London to demonstrate the unit to friends and people with distribution opportunities because these individuals were interested in partnering with me in getting YARRA 3DX manufactured and delivered. These same people will be very helpful in funding a new company targeting the same product line using the same technology. There will be a new 3D audio sound bar from myself or others — it’s just going to take longer than before. Happy Holidays, Mark and Family! No reply necessary, but I am a bit surprized that a more accurate forecast of the launch cost of the Yarra wasn’t made. That seems to be the crux of the launching of a new enterprise. What about Shark Tank? The other idea I had, retro as it is, was to introduce the box as a DIY kit. That would no doubt exclude some buyers but possibly some of the adept might offer the assembly at a price lower than factory. Don’t know. The other problem is persuading someone (like me) who have $$$’s invested in conventional sized speakers, that it is possible for a phased box to actually work. But which would they ultimately choose — who would buy their old setup? Sounds like a free trial is necessary. Ship a trial system out for 10 days – if they want one, ship a new one. This is a huge key to Amazon’s success – you essentially run NO risk in buying from them. Robert, the funds raised through the campaign were sufficient to pay for the tooling, development, parts, and manufacturing of 2700 units. Unfortunately, the company spent the money on normal company operations and do not have the resources to complete the remaining tasks — including manufacturing and shipping. Appreciate your efforts to help see this through to fruition. Hi Mark. I started to get excited when I saw this most recent post. Like you, I have (2) units coming. Tues. I am going to pop in on Comhear again and see if I can do some more listening. It has been a few months and I didn’t get to hear the new sub. I hope you are able to do something. Glen, my efforts to rescue the YARRA 3DX have proven unsuccessful. I hope we all get out sound bars but it’s difficult to imagine how additional investors will be excited by spending $1M to make the backer community whole. Is that a hint on something coming, or just a sigh? I am already talking to the very same partners about producing a bigger and better sound bar akin to the YARRA 3DX. I’ll let everyone know when I’ve got specifics. Can you please describe, how exactly did you bring a DVD-Audio content (‘Love’) into Yarra. Thank you in advance. I used DVD Audio Extractor. It can rip audio files from DVDs or Blu-rays. And what file format did you input into Yarra after ripping the DVD Audio disc ‘Love’? The YARRA 3DX can accept PCM, AC3, or APTX HD via TOSLink, HDMI, or USB. I took the wav files from the rip and created an interleaved AC3 (Dolby Digital) files and added it to the DVD iso image. When you say PCM, do you mean multichannel PCM, or stereo PCM? 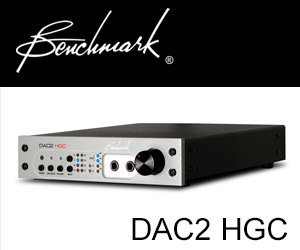 The YARRA 3DX works with stereo PCM, multichannel Dolby Digital and multichannel APT X HD. And why to lossy Dolby Digital and not to lossless PCM, your and our favourite format? The system does a lot of processing and MCH PCM is not possible. I would love to hear one of these as if it works as advertised (and based on the above I have no reason to doubt that) then it’d be an ideal solution for people like me who’d like an immersive 3D sound but who can’t face the hassle of running speaker cables around a room and setting up AV receivers etc. Actually it is not so much me but my wife who’d object. I did look at using a 2.1 system with BT speakers for the rear channels but then you still need to get them positioned and mounted and near to power points unless you want to live with batteries which need constant recharging and risk dying in the middle of a movie or music listening session. Therefore the Yarra 3D sound bar would be just what I am looking for. I did try listening to one of the Yamaha sound projector sound bars and while it did sort of work it wasn’t that brilliant either. So I’m rooting for the company behind this to get their finances sorted out and start delivering product. I hope you enjoyed London! The trip to London was great. 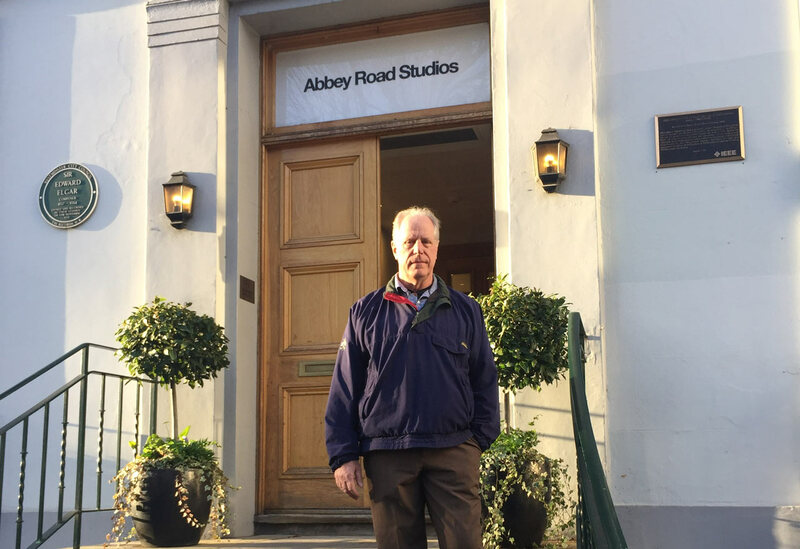 I was thrilled to be able to visit Abbey Road and visit with friends. There are a lot of people just like you that will benefit from a 3D audio sound bar. The Yamaha and other “bouncing” sound bars don’t do it for me either. John, which Yamaha beamforming bar did you try? I use a YSP-2700 and have been quite satisfied with that once I ran the room correction and then tweaked the settings manually using the MusicCast app. 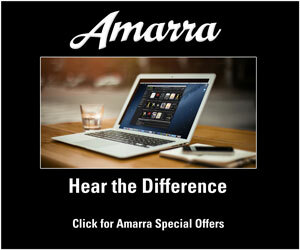 Until this Yarra product somehow hits the market in some iteration Yamaha products may be the only option. I will also admit that these sound bars, while somewhat functional, sure do not hold a candle to a fully immersive 5.1 system like Mark demonstrated at Axpona. Unfortunately my new home did not have room for separates. Ah Mark, I can’t believe you were just up the road from me in Guildford! It’s an interesting town with its famous university (University Of Surrey), with its strong links to space and satellite development (SSTL) at the research park. Nearby is also the home of the Mullard Space Science Laboratory, The Academy of Contemporary Music, and Hurtwood House. Of course the locale is also home to musicians such as Bill Bruford, Paul Wellar, Kenny Jones, and Eric Clapton. And there’s lots of history here too. I hope you had an enjoyable visit, and with a bit of luck you’ll be back to Guildford again soon, perhaps you can stay a little longer. Thanks Sean. I really didn’t know much about where I was…my friend Richard has the connection to the area. I’m sure I will be back in the near future. My youngest son was just awarded a fellowship to the Richard Rogers Wimbledon House for the fall of 2019. I put money down based on your recommendation of product and company. I won’t be doing it again. Trevor, I understand and regret the situation that occurred with the YARRA 3DX. When I started consulting for the company, the CEO and team were competent, honest, talented, and forthright. In the intervening many months, most of the original people have left including the former CEO and my close friend the CSO. The product was — and is — a genuinely innovative piece of engineering and does what it’s supposed to do. The operation of the company under new management has resulted in all of us — including me — losing our pledges. I’m sorry I wasn’t able to rescue the product. I tried. Thank you, Mark! I hope you Mona have a wonderful Christmas & New Year! Also, thanks for all you’ve done in trying to fix this mess. From all of the reviews I’ve been reading, usually in your posts, we’re really going to miss out on a great sounding product. A sound bar that incorporates beamforming and wave field synthesis will make is way to the marketplace in the near future. It is indeed unfortunate that YARRA 3DX will likely not be that product. But I’m pushing hard to bring the same development team together to build the Beamsonic 2.0. Stay tuned. Please be sure that it has enough processing power to handle multichannel PCM. Thanks for the update. I understand the frustration you are feeling and just hope I can own one of these soundbars in my lifetime. Even if it means having to buy one from another company that will actually be able to build them. Thanks Kit. It’ve very disappointing to see the way the company squandered a rare opportunity. The lack of vision, incompetence, and inability to see the obvious makes it even worse. There are plans to move into the same market with a bigger and better 3D audio sound bar — run by people that have integrity and a solid plan. Mark, WE WERE THE BACKERS. We funded a this project well over a year ago based on seeing a product that was fully designed and manufactured in enough units to demo its capabilities at trade shows & backer events. Based on all the conversations and updates there were evidently enough units made to distribute to a select group. Based on all that was presented who would not have thought that the project was not ready to launch? All the talk & PR about working out the details and tweaking the design now appears to have been a delay tactic for the company to make there exit. Above you say “The company is trying to raise additional funds to complete the manufacturing of the YARRA 3DX.” Who would partner with a company that has mismanaged over $800K and failed to produce the product for the initial backers? I’m sure there were a lot of us who were influenced by your recommendations and need to reconsider things moving on. Very disappointing Mark. As they say, Fool me once…. Mike, everything I had stated was true. Company management spent the money that was supposed to mass produce the product on company operations. It is ready to manufacture and I spent lots of my own money, time, and resources finding partners to take it over and get you your bar. The CEO declined my offer. You’re right that I doubt anyone will invest additional funds in a company that has spent millions of dollars without anything to show for it. I can definitively state that there was no fraud involved. YARRA 3DX exists (there are about 10 EVTS units) and is ready to manufacture when the bills are paid. It is very disappointing for me as well. I did everything I could and more to get the backers the units they deserve. Hi Mark, How can a CEO decline an offer when they have no intention of delivering a product that they accepted alot of funds for? Sounds like fraud to me! THe feeling of getting Burned will likely exclude me from any future purchase. He told me that he wants to reserve the right to offer the underlying technologies to other potential consumer electronics companies. If AIX and partners couldn’t be given so sort of exclusive protection against a directly competing product in the consumer marketplace, we couldn’t proceed. It was proving very difficult to raise the funds to make backers whole, but I had the pieces in place. Comhear and its management have demonstrated a lack of empathy and understanding of the entire situation. So based on Comhear company press it seems that they raised funds via Kickstarter, and then migrated those funds to another crowdfunding site called Indiegogo, where they raised even more money. Then they proudly announced the relocation of their corporate headquarters to some new site, probably using all the crowdfunding money. Someone needs to sue and put a lien on that property if possible based on the terms of the crowdfunding sites. I am sure some of the backers are attorneys and would be more than happy to step up on this. Being a happy owner of a Yamaha sound bar with beamforming technology I did not succumb to this initial offer, but have to say I was very tempted a time or two. I’m glad now I did not even if my current technology does not match up with the Yarra bar. Larry, it is indeed unfortunate that the company was severely mismanaged after we successfully raised enough money to develop, manufacture, and deliver all 2700 units to KS and IGG backers. It seems there is sufficient anger and motivation to cause the company’s reputation and bank account to diminish. Thank you for being so forthright and honest with the backers on ks. I received no cooperation on my visit to La Jolla. It is a shame no product is forthcoming. I had the luxury of spending 2 solid hours listening to the Yarra 3DX at the new headquarters, several months ago. Both the Near Field and Far Field sessions were very impressive, which had me investing in (2) units. The original developers were great people. I hope Mark is able to come up with something. It’s s drag that the company has not lived up to its promises. I haven’t completely given up yet. Thanks to this Yarra fiasco, I will NEVER fund any e-begging future projects. I also put down money for a soundbar which it seems I have lost due to operational decisions taken by the company’s management. We backers have in effect provided the company with free working capital which it is now unable to repay. It therefore sounds to me as if the company is knowingly trading while insolvent, which in some jurisdictions is a criminal offence. It should be wound up without delay before other people get burnt. I think the communication and comments here, created by Mark, have them communicating with the backers again. All we can do is wait and see. I’m hoping they might pass information on to Mark when it becomes available. We’ll see where this goes. I’ve made an offer to work with the company and new Chairman to get the sound bars delivered. I’ll keep you posted. Any updates since you last post? I’ll get another post up soon. It would interesting to get your feedback on where this product (“in stock” for ordering) fits into the Yarra soundbar story. Michael, Comhear has a variety of products for commercial installations. The MyBeam ProAV was one of their first products. I’m not aware of any major customers but there may be some. I never heard the one advertised but they are fundamentally different than the YARRA 3DX. Thanks for quick response Mark. It may be fundamentally different, but the specs on it are certainly promoting it for the same market segment as the YARRA 3DX. This is not being marketed for commercial installations. It’s just a bit confusing given where we’re at with the YARRA situation. BTW, will you be calling in to the conference call on Monday? The MyBeam speakers don’t have Dolby Decoding or Binauralization software in them. Yes, I will try to do the call but I’m teaching a class starting at 8:30. I hope someone records it.